Spring flowers are all the flowers that start to grow beginning in the month of March. Sometimes the blooming time even starts in months when there is still snow in the garden. In addition, spring flowers often smell so intense, they attract pollinators. As spring draws near, it is time to think about the flowerbed design. We have some helpful tips in store that we would like to introduce to you. After the last frost of winter is over, you can finally start your flowerbed. The most important thing is to think in advance how you would like to design it. What flowers are desired? Which colors are the best? How tall should the flowers be? All that and especially the blooming period are relevant factors for realizing your dream garden. It should be noted that some plants only start to bloom in April, while others show the first buds in February or March. 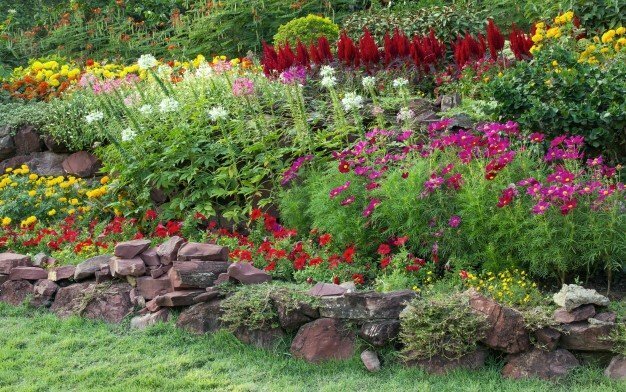 If you plan smartly, you can marvel at the flowerbed for several months. Did you know that tulips are the most popular spring flowers in Switzerland? January is the official start of the tulip season. 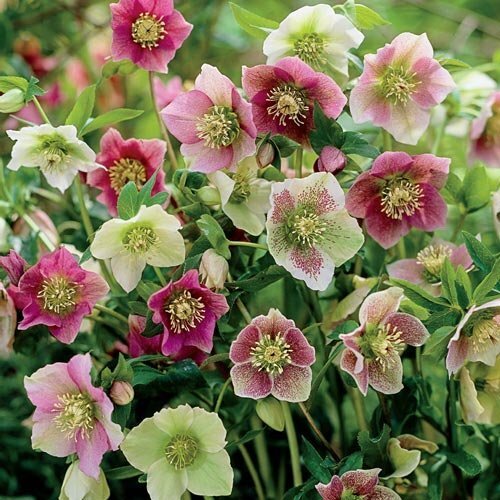 The chalice-shaped favorites usually bloom until May and have a special historical background. In the Netherlands, tulips were even more valuable than gold in the 17th century! Tulips come in many different shades. Not only is the color selection varied, there are also about 150 different types of tulips and more than 3,000 varieties worldwide. Some of them are even edible and have a peppery taste. Their origin is not Amsterdam, as many sources indicate, but the bulbous flowers came from the Orient to Europe in the 16th century. The flower owes its name to the Persian word „Tulipan,“ which means turban and is related to the shape similarity. Fun fact: According to earlier theories, men in the Ottoman Empire used to wear tulip stalks in their turbans. 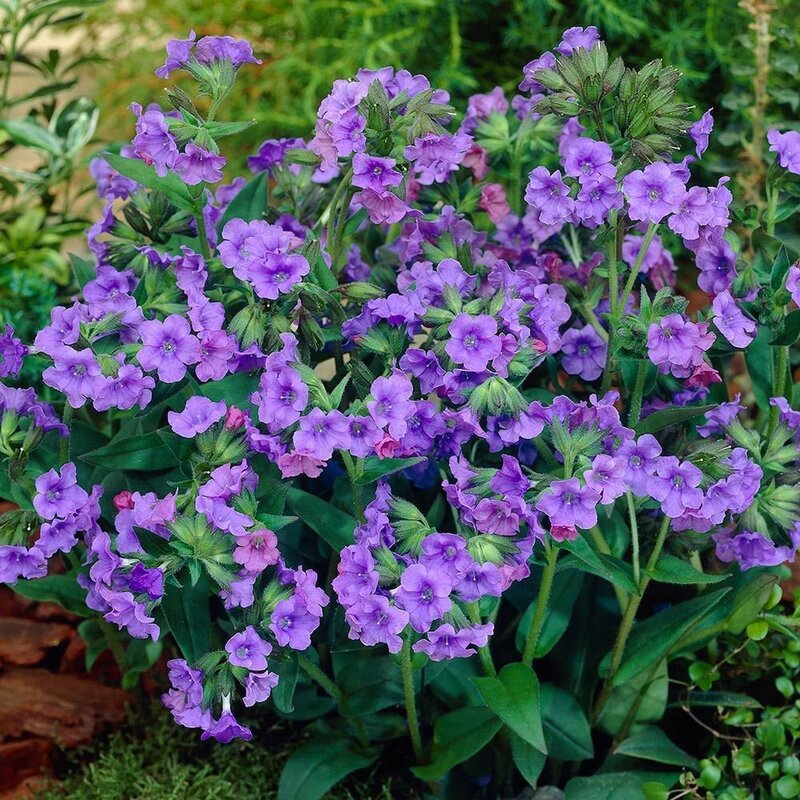 The name of the pulmonaria flower comes from the Latin word “pulmo,” which means lung. This thanks to its shape reminiscent of lungs. For this reason, the wild herb was previously used for treating lung disease. Today, it is still used for producing teas and cough drops, but the actual healing effect for lungs is controversial. Pulmonaria comprises 10 to 18 species and belongs to the borage family. The flowers of the plant are usually blue, violet, red or partly white and funnel-shaped. In mild winters, some early flowering plants open their buds in February. The official flowering period begins in March and ends in May. One finds the lungwort in mountains and forests of West Asia and Europe. 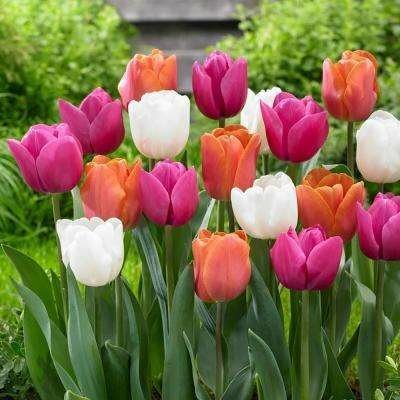 The spring flower can be combined very well with bulbous plants such as tulips. Not only the variety of colors and petals is appreciated by plant lovers, also the care tends to be uncomplicated. Christ roses have a long flowering period, which begins in February and lasts several months. The early flowering plants grow over decades again and again, as long as they were planted properly. The rhizome (winter surviving shoot growing underground or close to the ground) was formerly used to make powder for producing snuff. It was said to strengthen memory and overcome dizziness. Also, the powder was used to strengthen the heart, inasmuch as its healing effect as well as toxicity has been known since 300 BC. 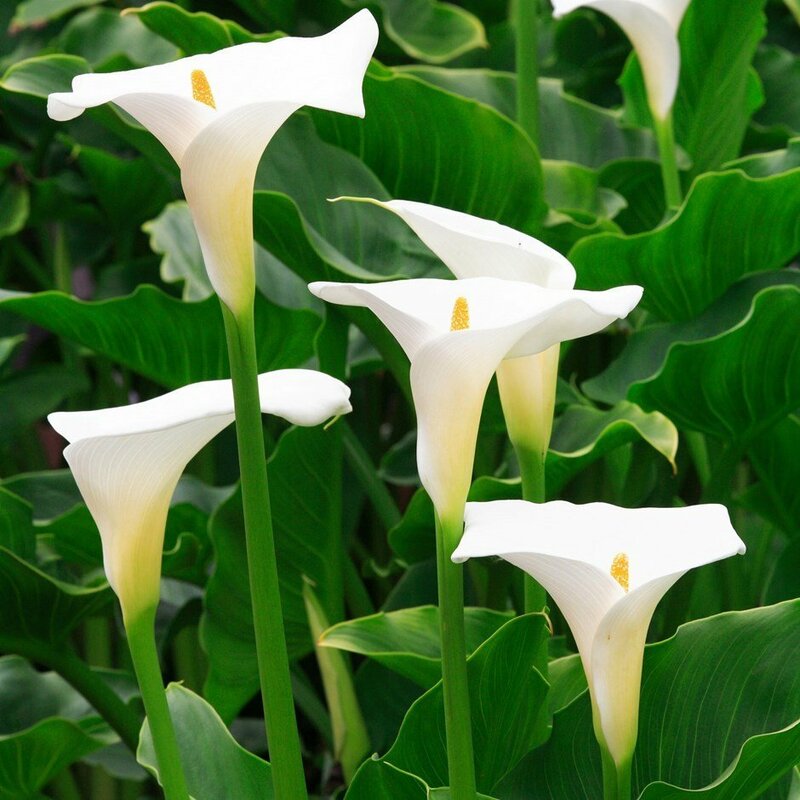 It is hard to believe that the calla lily is originally a marsh plant whose origin is in Africa. In its homeland it is often found in the wild, especially in marshy areas. Today, it is often grown in Europe as a houseplant, because it doesn‘t need a lot of water and therefore is considered easy to maintain. However, its care requires one is to wear gloves. The leaves and flowers, as well as the flower juice are poisonous. Calla lilys are typical bridal bouquet flowers, because they adapt well to dresses and bouquet shapes. The plant is available in such different colors as white, yellow, orange, purple and dark violet. The optimal room temperature for the calla lily is between 12 and 25 °C. In ancient Rome, the plant was a symbol of the winter solstice and today it traditionally stands for purity. Fun fact: It was formerly used by Victorian nobility to exchange secret messages. 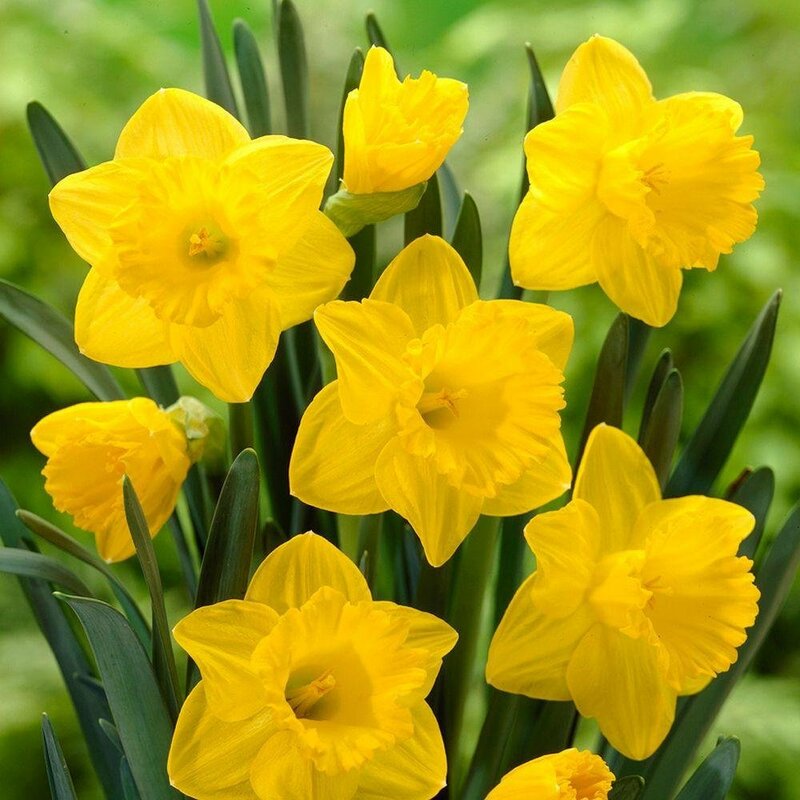 Narcissus, also known as Easter daffodils, bear their name for a reason: The flower symbolizes the sign of departure, which is why it is often given away as a new beginning or at Easter. Also, the first narcissus begin to flower in the months of February or March, which announce the new season. Easter daffodils are divided into three different types. There are early flowering ones that show their splendor in February and March as well as mid-flowering ones that start blooming shortly thereafter in March and April. Last but not least are late-flowering Easter daffodils that bring color to the garden from the beginning of April to May. Legend has it that the flower was first found near Jesus in the garden of Gethsemane in the hour of his mourning.